According to Daily Trust, the anti-graft agency for several weeks has been inviting staff of the FIRS to explain funds received in their salary accounts, aggregated payments that ran into billions of Naira. It was learnt y that the coordinator support services group Peter Hena, said to be on leave had left the country for Israel. 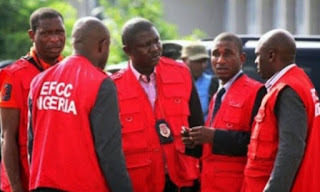 According to Daily Trust, EFCC investigators uncovered the irregularities from checking the soft-ware payroll system of staff of the organization and the attendance registers.